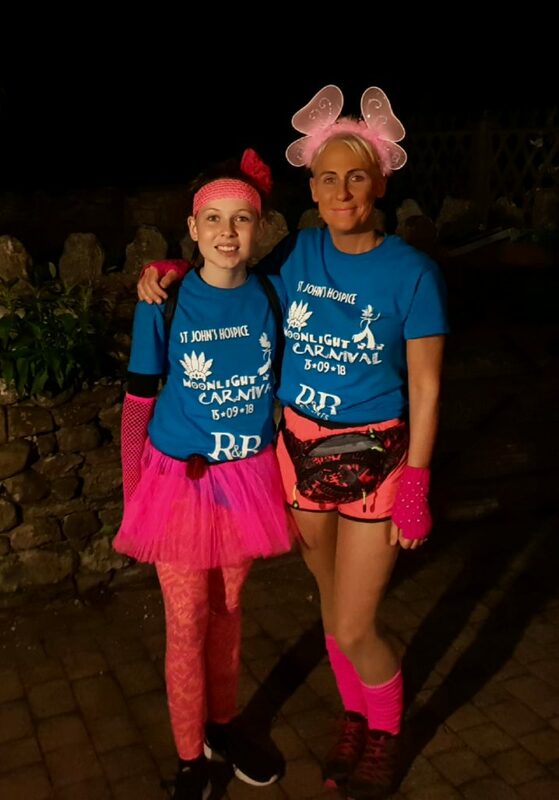 Congratulations to LARS’ Donna Tyson and her daughter, Caitlin, who successfully completed the 25km ‘Moonlight Walk’ around Morecambe and Lancaster in aid of St.John’s Hospice, raising in excess of £300.00. The event, which set off from the hospice at 10pm, is now in its twelfth year and has raised over £1 million for St. John’s Hospice. This year’s theme was ‘Carnival’, with Lancaster’s samba-reggae drumming band, Samba Espirito, providing the exciting sound of the Brazilian carnival experience. What better way to get all of the walkers and runners in the mood and ready to party. St. John’s Hospice is one of LARS’ chosen charities and provides free, palliative care to patients with life shortening conditions. Covering North Lancashire, South Lakes and parts of North Yorkshire, a population area of about 250,000, St. John’s Hospice has been caring for the community since 1986. It costs about £5.1 million each year to run the hospice, around one-third of which is provided by government funding. The balance needs to be raised through community donations, grants, legacies and events, such as the Moonlight Walk. For more information about St. John’s Hospice and how to get involved, click here to visit the website. Once again, we want to say a huge WELL DONE to Donna and Caitlin. What a fantastic effort.